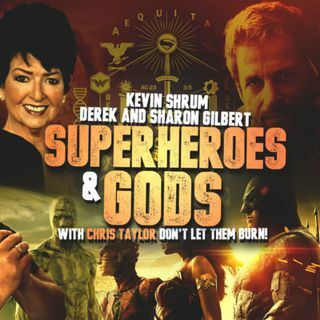 Join us in this conversation with Kevin Shrum, Derek Gilbert, and Sharon Gilbert as we discuss the popular themes in today's movies and where they come from. What is the secret behind Zack Snyder's Justice League charity T-Shirt? Are we being conditioned to worship the false gods of old? Find out in this exciting expose.